I have several projects on the table right now that I am working on so I just don’t have the time to put into this one. It is a 3/2.5 in northside. We started on it but I had to fire the contractors bc they were moving way to slow and did not pull permits. It has just kinda sat there ever since. 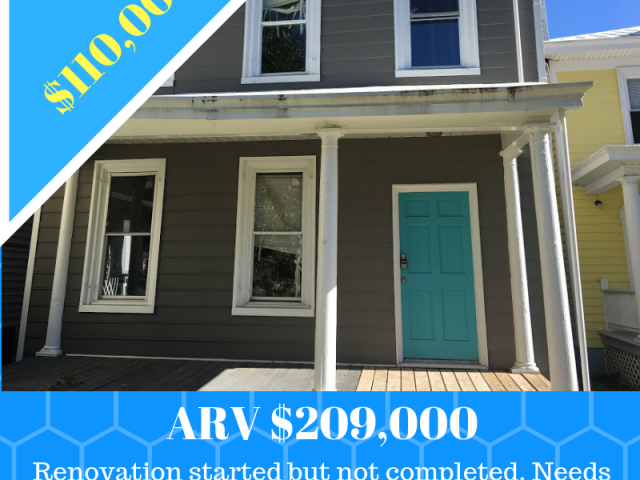 The ARV ranges from $200,000 to $220,000 depending on the level of renovation. We have done the electrical upgrade and rough in, the plumbing rough in, windows, exterior paint, roof repair, structural repair, Hvac inside unit, set the tub in the hall bath, some decking outside, a lot of the drywall and paint. It needs insulation, floors, tile, kitchen, and baths complete. The estimated repair cost to complete is $30,000-35,000.